Headquartered in Conshohocken, Pennsylvania, RIO BRANDS, LLC is a designer and manufacturer of a full line of high quality and affordable outdoor furniture, rolling party coolers and other related accessories used for the beach, backyard, patio, parks and other outdoor venues. The company has become the market leader in the beach market and has established a reputation for quality, innovation and value. 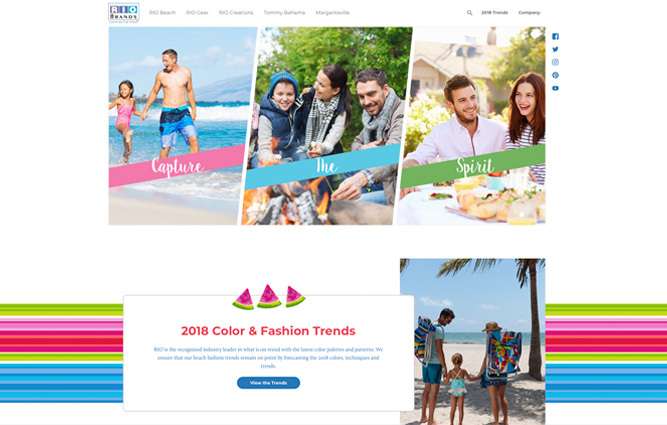 It has patented products and well recognized trademark and licensed brand names including Tommy Bahama™ and Margaritaville™, and sells through the retail and e-commerce channels. For more information about RIO BRANDS, LLC, visit www.riobrands.com. At Guardian Capital Partners, contact Scott D. Evans.